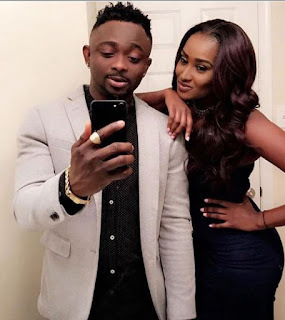 Nigerian singer, Sean Tizzle is expecting his first child from U.S-based Kenyan model girlfriend, Maina. She took to social media recently to share her baby bump and also to reveal the day of her delivery. An insider told us that Sean tizzle has kept mute and has decided to keep the relationship with the u.s-based kenya model girlfriend a secret. Stay tuned as we unravel more shocking details about this two love birds.